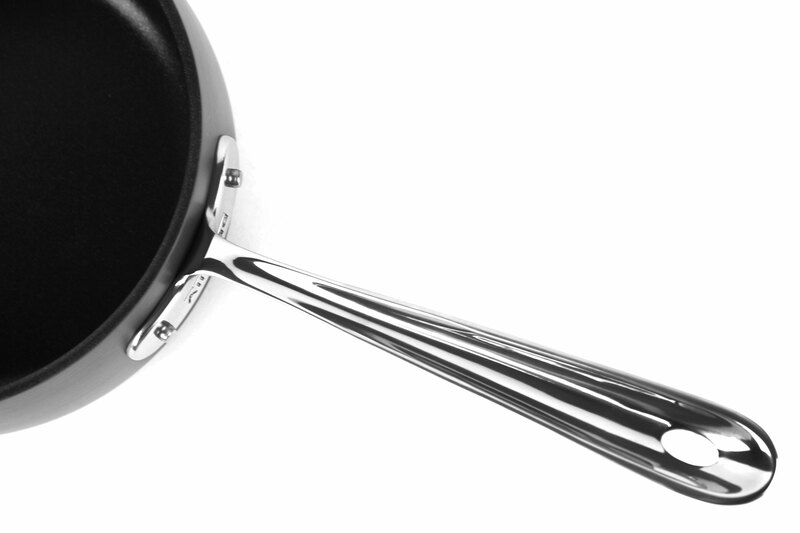 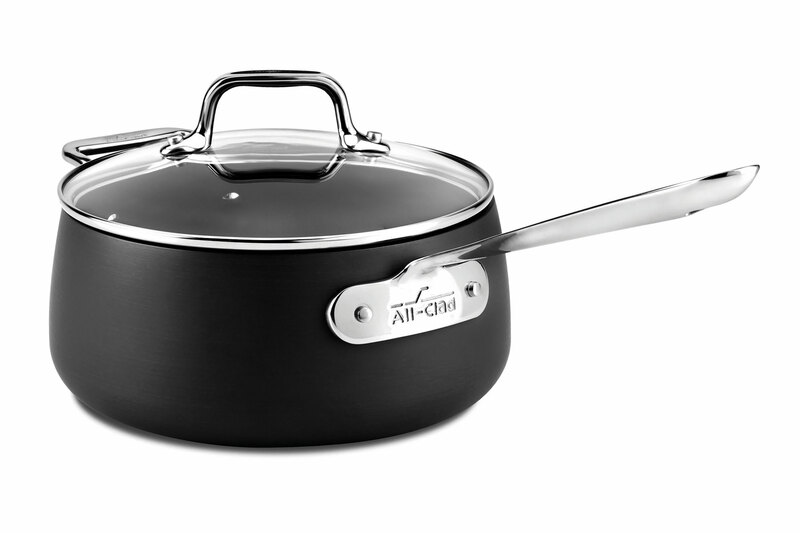 The All-Clad HA1 Nonstick Saucepan is great for making sauces, heating liquids, cooking food in liquids and reheating. 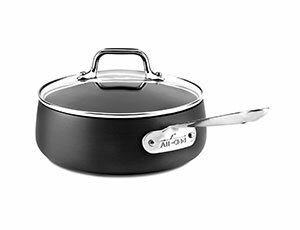 With high, straight sides and generous surface area, this saucepan holds heat well and limits evaporation. 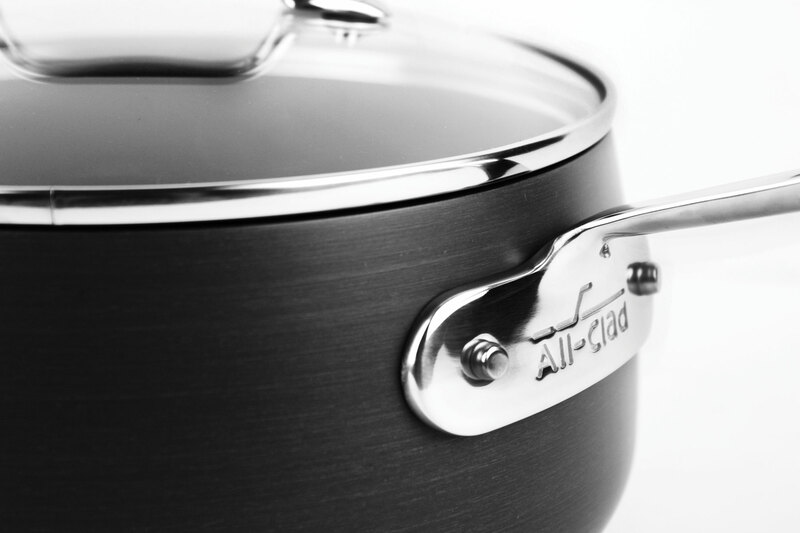 Because of its shape, it's ideal for making sauces, heating liquids, cooking food in liquids and reheating. 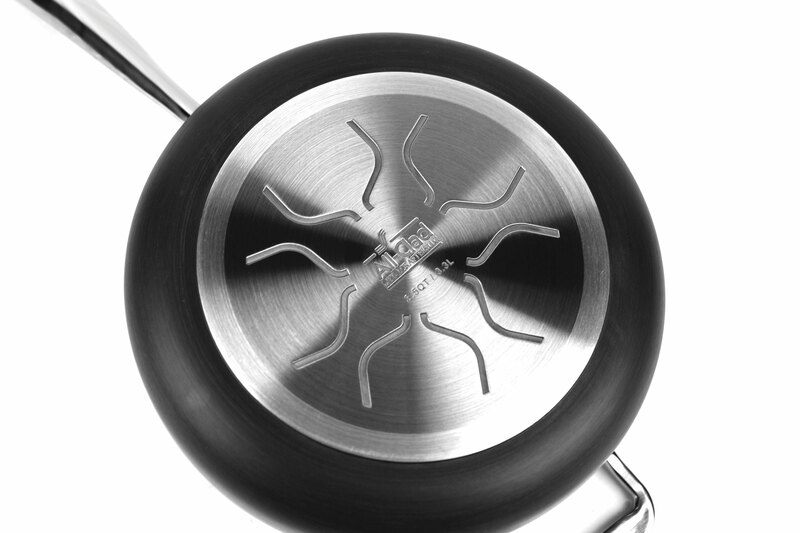 Can be used with or without its lid to control evaporation. With HA1 Hard Anodized cookware, you can experience the renowned quality of All-Clad and the ultimate convenience of nonstick. 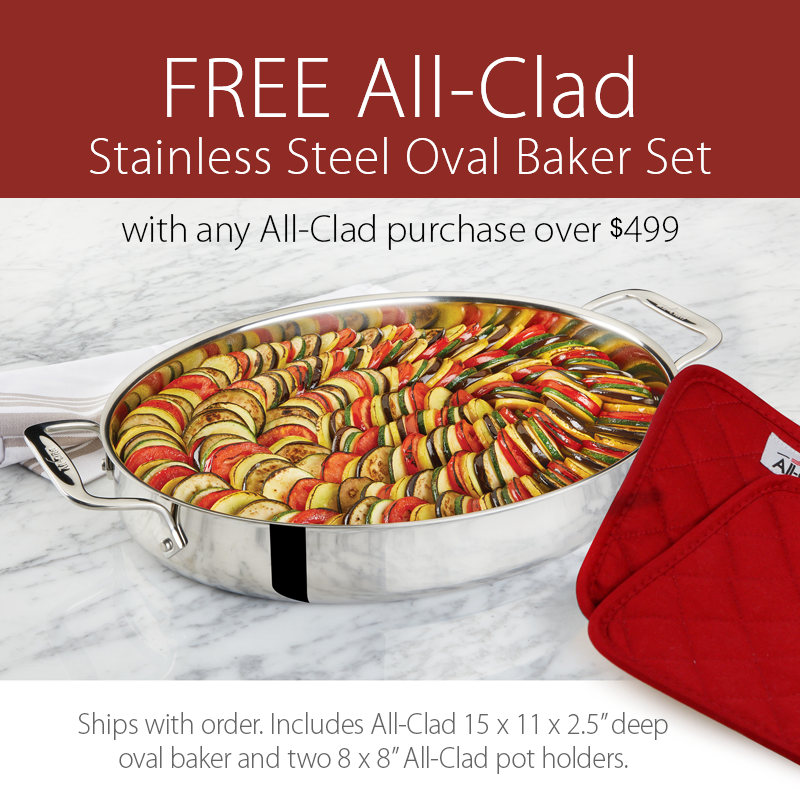 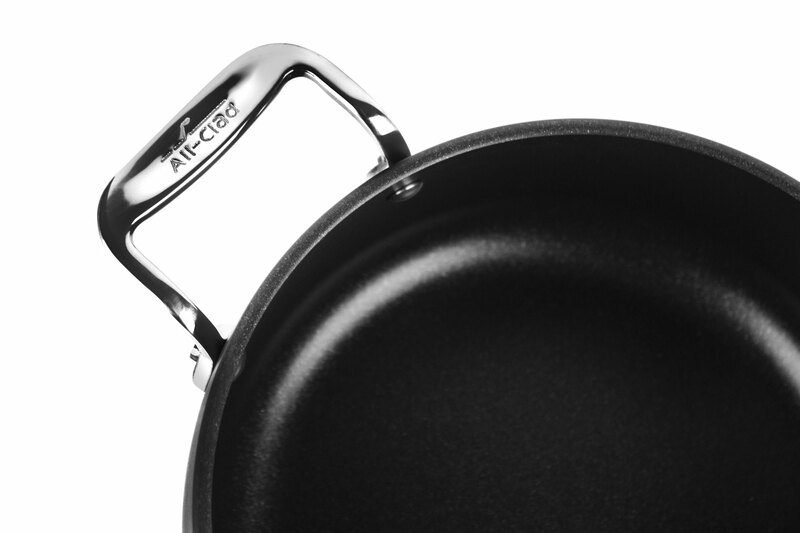 The All-Clad cookware's three layers of PFOA-free nonstick coating ensure effortless food release and make cleanup a breeze. 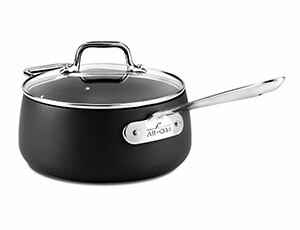 Even more, Hard Anodized nonstick cookware offers dishwasher safe convenience, induction compatibility, and warp-resistant strength.